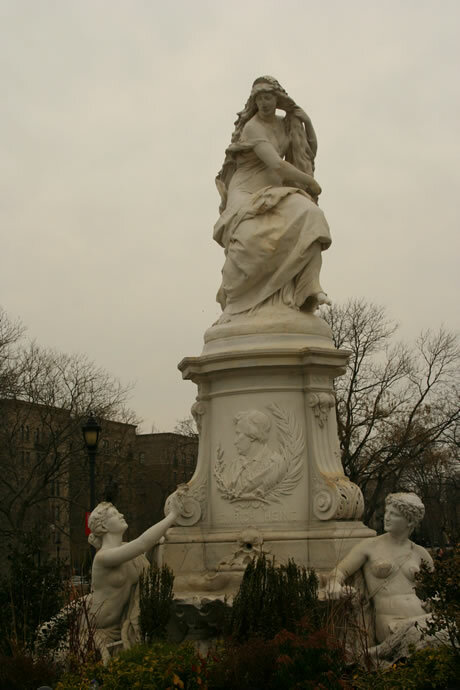 At 161st Street and Grand Concourse in the Bronx, there is a highly ornate fountain named Lorelei located in a rather lonely park dedicated to dead poets. Inscribed at the base of Lorelei is the name and visage of a man — once upon a time, Germany’s favorite Romantic poet. Hitler tried his best to remove all memory of him from German culture, even going so far as to anonymize the attribution of his poems and to order the atomization of his grave site with explosives, all because the poet, Heinrich Heine, was born a Jew. This Friday, the 24th of Kislev and the eve of Ḥanuka, is Heine’s Hebrew birthday. He was born December 13th, 1797. Watch out! I mean well with you and therefore I tell you the bitter truth. You have more to fear from a liberated Germany than from the entire Holy Alliance along with all Croats and Cossacks. A drama will be enacted in Germany compared to which the French Revolution will seem like a harmless idyll. Christianity restrained the martial ardor of the Germans for a time but it did not destroy it; once the restraining talisman is shattered, savagery will rise again, . . . the mad fury of the berserk, of which Nordic poets sing and speak. . . . The old stony gods will rise from the rubble and rub the thousand-year-old dust from their eyes. Thor with the giant hammer will come forth and smash the gothic domes. The German thunder. . . rolls slowly at first but it will come. And when you hear it roar, as it has never roared before in the history of the world know that the German thunder has reached it’s target. Despite the barbaric-looking fur cap on his head and the even more barbaric ideas within, I hold the Polish Jew in much higher regard than many a German Jew with a Bolivar hat on top of his head and Jean Paul inside it. In stark isolation, the character of the Polish Jew has evolved into an integral whole; by breathing the air of tolerance this character has acquired the stamp of freedom. . . . As for me, I prefer the Polish Jew, with his grimy fur, his flea-bitten beard, his odor of garlic, and his wheeling and dealing to many others in all their savings-bond splendor. This description mixes criticism with a liberal romantic pride in ethnic Judaism born outside the constraints and pressures of the assimilationist Germany he was familiar with. In contrast, his attitude towards Reform Judaism reflects deep misgivings. Elon notes that Heine was “dubious about fashionable modifications like German [Jewish] prayer books and organ music. They were merely imitative of Christianity and offered only a “new stage set and decor.” The new rabbis (Heine called them souffleurs–prompters) wore a Protestant parson’s ‘white band’ in their collars. Reform Judaism was like mock turtle soup, he thought, ‘turtle soup without the turtle.’ Heine was an early precursor of the legendary Spanish anarchist who asked a Protestant missionary, ‘How can I believe in your religion when I don’t even believe in mine, which is the only true one? '” Like many Jews in his circle he submitted to a Baptism that held meaning only in the burden of shame and bitterness he would carry the remainder of his life. Professional life in Germany was entirely closed off to Jews unless they submitted to a Baptism. Regardless, his tragic humiliation has haunted his name ever since. Fleeing Germany for freedom in France, Heine was quickly attracted to the early socialism espoused by Henri de Saint-Simon, a practical philosophy that espoused a mix of free love, pantheism, technocracy, and meritocracy — in short, liberal ideals anathema to more conservative and traditional sentiments. Meanwhile, he continued to write romantic poetry that drew its imagery from the well of both German and Jewish mythology. Undeniably, I feel a kinship here. I am one dreaming being even when the catalog of prideful identities bifurcates and fragments my imagination in so many useless ways. I am navigating my religious, ethnic, and national identity when ethnic patriotism and religious demands make claims on the integrity and authenticity of my being Jewish, and often enough seem to distract from more universal truths. The pity of it all is that the fathomless tragedy of the Holocaust was not only the mass slaughter of our families and the dissolution of our being. It is also in how Germany butchered and mutilated itself, for we were once Germans even if they refused to accept this, and how much the poorer they are for it. Romantics like Heine pined for acceptance as Jewish Germans, a desire absolutely justified by his ancestors cultural identity rooted in the more than 1500 year long residence amidst the misty woods and vales of Ashkenaz. Ethnic narratives profoundly shaped by Zionist self-reliance and a complete rejection of Germany following the Holocaust, conspire as well to obscure the profoundly deep connections Ashkenaz Jewry had in those lands, cities, and shtetls stolen from our grandparents and great-grandparents. Their presence as neighbors was organically entangled in their culture, but they pretended it wasn’t so, and what a bloody mess they left behind when they ripped us out from inside them. This coming Sunday 2-5pm, December 13th, I’ll be at the Lorelei Fountain in the Bronx reading Heine’s poem Die Lorelei, drinking a toast in his honor, and lighting the third light of Ḥanuka. Anyone who cares to is welcome to join me. “With Heine at Lorelei” is shared by Aharon N. Varady with a Creative Commons Attribution-ShareAlike 4.0 International copyleft license. I just published Reb Zalman’s post on hanukkah (http://www.rzlp.org/wordpress/?p=355) and he references Heine in it and so I was researching the reference as you were having these thoughts. This is the first time I have heard Reb Zalman make reference to this poet and he uses his phrase to indicate and aspect to our modern day sanctuary, which we must be sure to reclaim, cleanse and sanctify, then resuscitate and finally to make “conscious” as part of observance of Hanukkah. I sang Dichterliebe as a senior recital. sehr schoen! m’chayye! Thank you for sharing your thoughts on this precious individual. 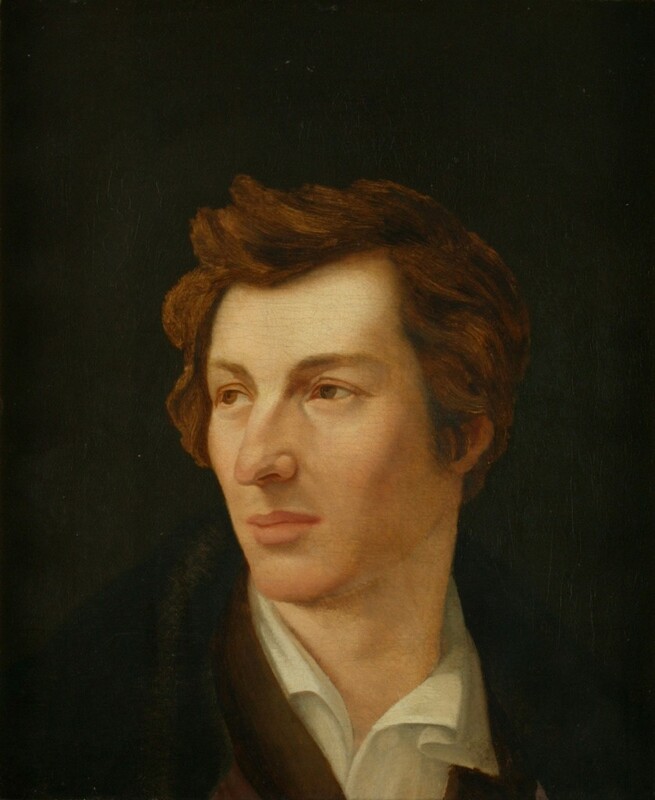 Poetry by Heine on the Sabbath and Cholent, among others can be found in translation of the Works of Heinrich Heine at the Internet Archive. As a dog, with dog’s ideas. Of my high and royal father ! With the lamps that he is lighting. And, to show how white his hand is. Oddly pressed against his temple. The composer of this poem. Sought by wit to shine and dazzle. With her very clever riddles. Like the meek gazelle she gazes. ” But at noon, as compensation. Thou shalt eat to-day of cholent ! ” Cholent, ray of light immortal ! Had he ever tasted Cholent. All the doctrines good and pious. The ambrosia of the pagan. Is the merest devils’ offal. When the prince enjoys the dainty. Where the camels lie at rest ? These he sprinkles on the table. Wow! Thank you. What an amazing homage to cholent! Good Shabbos! It is a family legend that my mother’s ancestor, who seems to have come to this country prior to the Civil War, was in fact descended from Heine. But little is known of her. Dreams outlive the dreamer, causing sleepers of the future to awaken, wondering what they meant.